HaViMo is a computer vision solution for low power microprocessors. It is equipped with a CMOS camera chip and a microcontroller which performs the image processing. The results are then accessed via serial port. In HaViMo2 several features such as frame rate are improved. In addition to the region growing algorithm available in prior versions, a new algorithm is implemented called Griding. The algorithm is a suitable pre-processing step for many other applicationssuch as object recognition and self localization. The compatibility area of the module is also extended to more software and hardware platforms. HaViMo2 is compatible with ROBOTIS and RoboBuilder bridges. It can also be integrated in programs developed in Roboplus. Other platforms can also communicate with the module using either half or full-duplex serial protocols. HaViMo is a Vision Module for Bioloid that gives the Robot the ability to detect multiple Colour BLOBs and navigate in familiar environments such as a Robocup football field or a maze autonomously. The module was developed by Berlin's Free University for the RoboCup humanoid robots of FU-Berlin, the “FUmanoids”, that won the 3 Place of the RoboCup 2007 Humanoid League in Atlanta. The module enables a relatively low end processor such as an Atmega128 to receive simple digests of image interpretation that in turn can be used to direct the robot towards targets such as a ball or out of a labyrinth. Lightweight integrated camera and image processor Controlled and queried via Dynamixel protocol (1 wire, half duplex, TTL UART) Simple and affective way to implement real time image processing and interpretation, based on color regions. Able to Acquire images and send them to a remote PC . Can even be connected to a simple microcontroller (ATMEGA, PIC, ...) and easily add the ability track objects. HaViMo maintains a large table with about 50 parameters that some can be read and others can be read and written to. Using the Dynamixel serial protocol, the bus controller can ask HaViMo 8 times/sec to send back information regarding the state of the 16 contiguous-color-areas (stored logically in this addressable table). Bus: One Wire TTL Bus (Interconnectable with AX-12+ servos on the Dynamixel Bus. A connector for the Dynamixel bus is mounted on board for easy assembly in the Bioloid Kit). 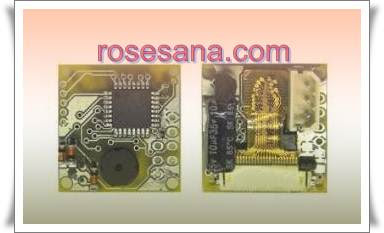 The HaViMo module can also be used with any other micro Processor that is capable of half duplex communication at 1Mbps. (HaViMo 1.5 was designed for the Dynamixel bus which is a 1 wire, half duplex bus with a UART at TTL level). Note: HaViMo Modules now come without the AX-12 case. They come as PCBs with holes strategically placed, to assemble it on the Bioloid Frames. S3003 is standard type servo motor by Futaba, with swivel angle 180 degrees. 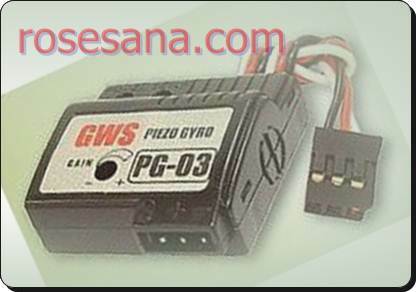 - Speed​​: 0.23 sec/60deg @ 4.8 V or 0.19 sec/60deg @ 6.0 V.
- Dimensions: 1.6 x 0.8 x 1.4 ins. Super Microcontroller Trainer is Professional Version Trainer Board module and designed so complex that a variety of applications can be implemented in it. See STK200ICE for socket support for 8, 20, 28 and 40-pin AVR microcontrollers. ATmega128L-8AI Device mounted on daughter board avoids surface mount problems. The ATmega128L operates from 2.7-5.5V and will generally run faster than 8 MHz at higher voltages. If you require a mounted ATmega128-16AI device instead please request a quotation as there may be a small surcharge. A real USB port In Circuit Emulator (JTAG ICE) for AVR emulation. It interfaces with Atmel AVR Studio and runs code on your AVR device. Supplied with adapters to contect directly to the port headers on the STK300 board. The JTAGAVR uses the On-chip Debug features of the newer AVR devices giving exact electrical and code feedback. Convert between USB - RS485 - RS232 - UART TTL .Universal Serial to serial or serial to usb Converter module which have universal conversion function. The RS485 communication has Multi point Mode, Full Duplex Mode (Optional), Controlled Mode and Automatic Mode. Available type of this module is half duplex and full duplex. 8 Channel GSM Remote Switch is ready to use electronic module that consist GSM module, 8 solid state opto-isolated relay modules and the main board. The Opto-isolated Relay Swicth controlled manually by input button, scheduled built in RTC (Real Time Clock) and or Short Message Service via GSM Network/ Cell Phone. TOP3100 programmer is of small size, low power consumption, high reliability characteristic, is designed to develop SCM and burning all kinds of storage. TOP3100 adopts universal serial and USB communication,transmission rate is high. Anti-jamming performance is good, reliable performance is extremely high, and without external power supply, especially suitable the laptop with battery power supply for outside use. All drive 48pin(vpp / VCC/ GND / TTL ) , good and fast for future upgrade. 48 pins, imported universal locking socket, can match any universal adapter. SCM timing, programming speed has nothing with computer. TOP2049-based programmer has a small size, low power consumption, high reliability, is designed for the development of various types of memory, microcontroller and programming designed for general-purpose models. TOP2049 USB universal serial port by connecting with the PC, communications, high transmission rate, interference performance, high reliability, and no external power supply, especially for battery-powered laptop out to use. 8. supporting TopWin software CD. An analog-to-digital converter (abbreviated ADC, A/D or A to D) is a device which converts a continuous quantity to a discrete time digital representation. An ADC may also provide an isolated measurement. The reverse operation is performed by a digital-to-analog converter (DAC). Typically, an ADC is an electronic device that converts an input analog voltage or current to a digital number proportional to the magnitude of the voltage or current. However, some non-electronic or only partially electronic devices, such as rotary encoders, can also be considered ADCs. The digital output may use different coding schemes. Typically the digital output will be a two's complement binary number that is proportional to the input, but there are other possibilities. An encoder, for example, might output a Gray code. Max110 , Max111, Max113, Max120, Max121, Max132, Max134, Max135, Max138, Max139, Max146, Max147, Max149, Max152, Max153, Max155, Max164, Max170, Max176, Max178, Max181, Max182, Max186, Max187, Max188, Max190, Max194, Max195, Max196, Max198, Max199. 1 Axis gyroscope for Helicopter, R/C, Robot , etc. The CM510 is the name of the new controler block. The PCB board is similar to the Bioloid Comprehensive CM5 in shape and exposed input buttons. The CM510 board is based on Atmega2561 rather than Atmega128, meaning twice the memory for programs, motions and bootloader. The CM510 plastic container block is smaller than the CM5 block (which contains space for the battery). The 6 sides of the block expose various interfaces including 6 analog ports. The old CM5 didn't expose any I/O ports of the Atmega128. The CM-5 module is the nerve center of the Bioloid robotics system. It is designed to store and execute programs for controlling robots that use the AX series Dynamixels (AX-12+ smart serial actuator and AX-S1 Sensor Module). Based around Atmel's powerful and versatile Atmega128 microcontroller, its features include four Dynamixel serial ports, programmable control buttons, and status LED's (including one auxiliary programmable led). The controller board is housed in a sturdy plastic shell, which fits into a composite frame with over 100 screw holes for attaching additional hardware. The CM-5 module can be upgraded for wireless operation by installing a Zig-100 wireless module. With the Zig2Serial adapter, you can control your Bioloid from your computer. Install Zig-100 modules in two CM-5's, and your robots can exchange data. You can even use one CM-5 as a remote to control another. This controller does not come with a battery or cables, but these accessories and many more can be found in our Bioloid System category. CM-700 is a control module type controller with a CP , TTL / RS485 communication circuit and ZIG-110 connector. You cannot control dynamixels or other peripheral devices alone with the CM-700. You will need a SUB board. CM-700 SUB Board is composed of a power department, connector department, switch, and an additional circuit for 5 pin peripheral devices. o Recommended Voltage : Please refer to the above "Power Supply." USB2Dynamixel is a device used to operate Dynamixel directly from PC. USB2Dynamixel is connected to USB ort of PC, and 3P and 4P connectors are installed so that various Dynamixels can be conntected. 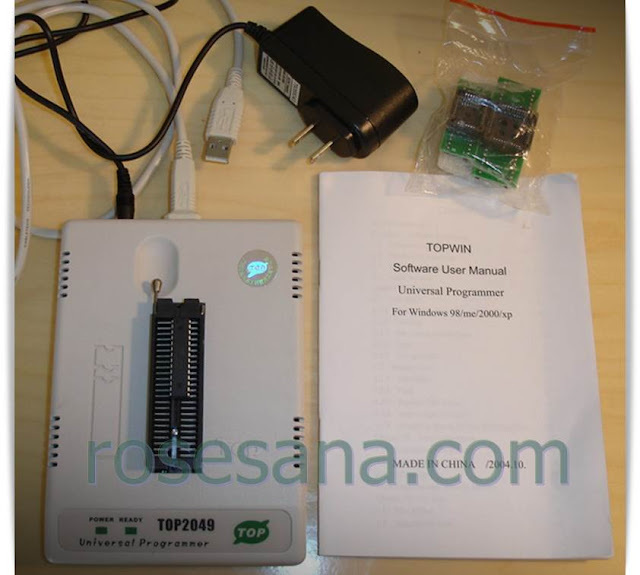 Also, USB2Dynamixel can be used to change from USB ort to Serial ort on the PC without serial port such as notebook computer, etc. The function is very useful in the cases when the Dynamixel exclusive controllers such as CM-2, CM-2+, CM-5, and CM-510 are connected to USB Port, or when ZIG2Serial is connected to USB or to control robots wirelessly. The communication mode can be selected by chaning the switch of USB2Dynamixel as below. 1. TTL Communication : Dynamixels using 3- in ort such as AX Series, AX-S1 etc. 2. RS485 Communication : Dynamixels using 4- in ort such as DX Series, RX Series, EX Series etc. 3. 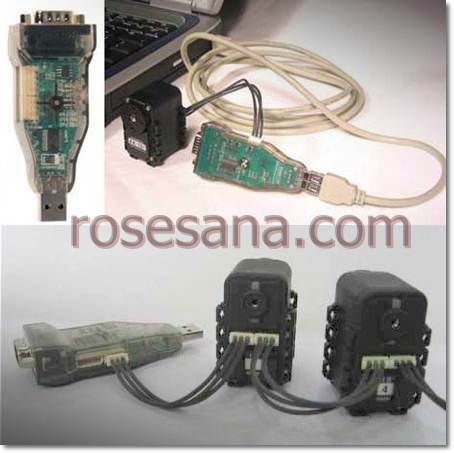 RS232 Communication : Controllers using serial cable such as CM-5, CM-510 etc. 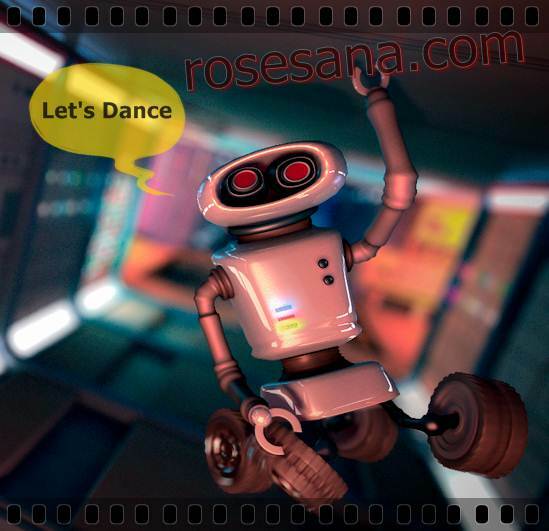 A New site Launch on March 7, 2011 in Bahasa Indonesia , This Site dedicated to Robotic In Indonesia. Graphic LCD 240x64 is a module that consists of graphic LCD 240 x 64 pixel LCD with T6963C controller for displaying text and monochrome images. This module allows users to develop applications that require media text and image viewer. Dimensions: 20.7 cm (L) x 7.3 cm (W) x 3.5 cm (H). - Able to display a monochrome image with maximum size 240 x 64 pixels. - Complete font generator capable of displaying text with 2 choices font size is 6 x 8 pixels or 8 x 8 pixels. - It has a parallel interface that also supports Intel's standard bus system. DT-51 ™ MinSys / PetraFuz ver 3.x. - Packed with ready-made routines in ASM51 © and examples of programs in ASM51 ©, BASCOM-8051 ©, and BASCOM-AVR ©. - Requires 5 Volt DC power supply. 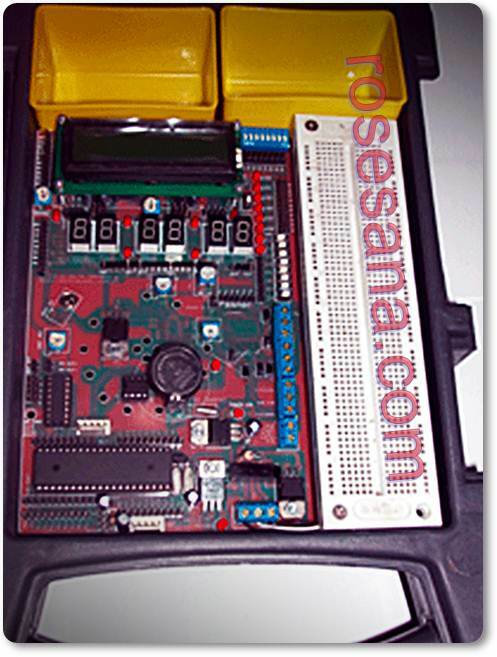 - 1 piece module DT-I / O Graphic LCD 240 x 64. - 1 sheet quick start. - 1 piece CD contains a manual, sample applications, datasheet, etc..
Blue-Link Module is a Class 2 Bluetooth module based Bluetron BTR310 which has a range of signals up to 10 m with a profile of SPP340. This module has two interface options can be selected via configuration jumpers is a USB (virtual UART) and TTL UART. 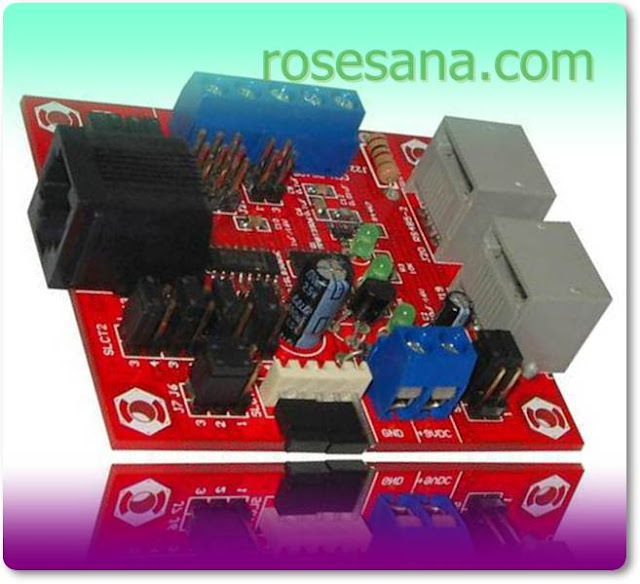 This module can function as an initiator (devices that initiate the connection) and Acceptor (devices which accept connections). Power supply modules can be taken from the path of the USB (bus powered) or external power supply (4.8 to 5.2 VDC). * Dimensions : 10.8 cm (L) x 4 cm (W) x 2.1 cm (H). * Based Bluetron BTR310 Bluetooth Module with SPP340 profile. * Can serve as an initiator (devices that initiate the connection) and Acceptor (devices that accept connections). * Reach the signal up to 10 m.
* Supports TTL UART interface and a USB (virtual UART). o Baudrate 9600 bps, 19,200 bps or 38,400 bps. o no parity bit and no flow control. * Selection of type of interface used by the configuration jumpers. * Using the AT Command protocol for communication with the host (PC / microcontroller). 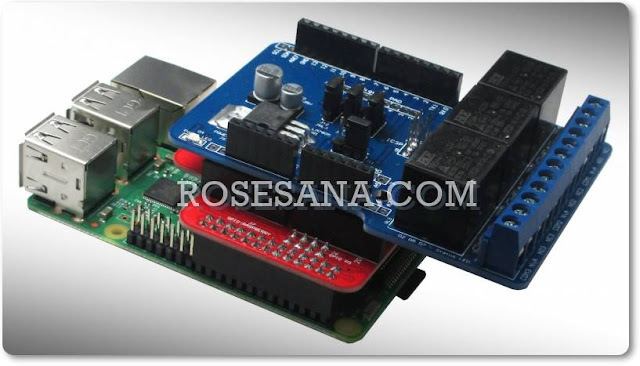 * Choose from 8 GPIO lines that can serve as input or output that is controlled via AT Command. * There is an option via the USB power supply (USB powered) or external power supply (4.8 to 5.2 VDC). * Selection of power supply source that is used by setting jumpers. * Line external power supply and TTL UART using blue terminals to facilitate connection with an external circuit. * Available USB type A connector on-board that can be directly connected to the PC. o Connected LED: lights up when the module is connected with other modules. o Reconnect LED: lights up when the connection with other modules disturbed and re-connection attempts. o LED CONSOLE: lit when the module is to search for other Bluetooth devices (inquiry). 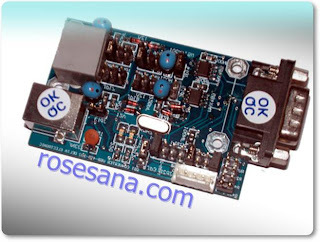 o POWER LED: lights up if the power supply module into a landslide. * There are descriptions and explanations about AT Command protocol to facilitate the use of modules. * Available sample test program for use with USB interface and UART TTL. * Available USB driver for connecting the module to a PC via a USB port. * 1 unit board SPC Blue-Link (BTR310 module is mounted on the module). BootLoader MICRO SYSTEM AT89C51XXX is a single-chip microcontroller module AT89C51ID2 equipped with a bootloader so that you no longer need an additional programmer device to perform In-System Programming. In-System Programming can be done via communication channels with the help UART bootloader and software Flexible In-System Programmer (FLIP) from Atmel. This module also provides a UART communication channels for communication with computers or other devices through USB, UART TTL, or RS-232 UART. * Dimensions : 11 cm (L) x 7.3 cm (W) x 1.7 cm (H). o Flash memory of 64 kbytes. o 3 pieces Timer / Counter 16 bit. o scratch pad RAM 256 bytes. o 2-wire interface with a data rate of 400 kbit / s.
o X2 features to increase the speed of microcontroller 2 times (1 machine cycle = 6 clock). o Low power (2.7 V - 5.5 V). * IC are supported by this module has an internal bootloader, so you are free to replace the IC as desired. * PLCC IC socket mounted through making it easier for the replacement IC. * It has 32 channels Input / Output. * Oscillator frequency of 11.0592 MHz. * Equipped with a bootloader to assist the process of In-System Programming via the UART. * The process of using the In-System Programming of Atmel FLIP software assistance. 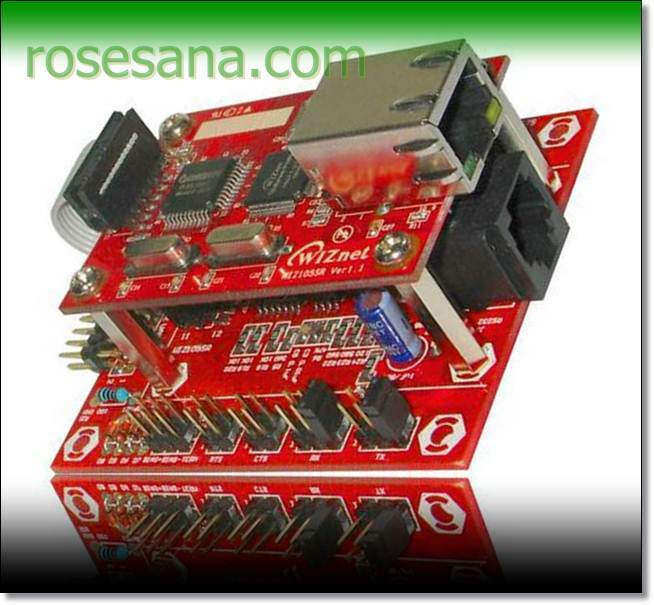 * The In-System Programming can be done through USB or UART serial RS-232 (via RJ-45). * No need for device programmers for In-System Programming. 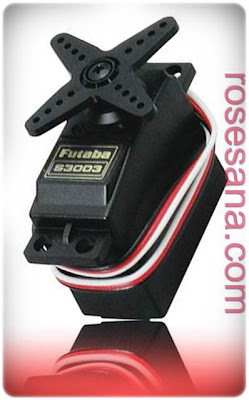 * Equipped with an additional circuit to control the bootloader mode from the FLIP software. * Available channels UART RS-232 communication via the USB port (via USB to RS-232 on-board) or serial port. * There is a series reset manually via tactile switches. * There is an option 6-12 V power supply input (through a voltage regulator on-board) or 3.3-5V (without going through the regulator). * There is an option outputs a voltage regulator on-board 3.3 V or 5 V.
* Available voltage output terminal in accordance with output options on-board voltage regulator. * 1 unit board bootloader AT89C51XXX DT-51 MICRO SYSTEM. * 1 set of mini-USB cable (p = ± 120 cm). * 1 set of mini USB cable. CONVERTER USB TO UART is a converter module USB to RS-232 or USB to RS-485 supports full duplex data rate up to 500 kbps. 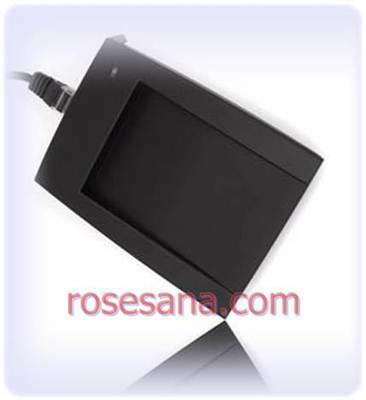 Power supply module can be taken from the track USB (bus powered) or external 5 VDC power. 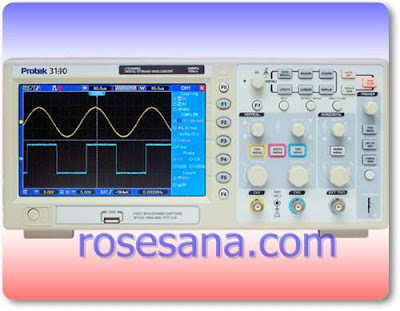 In this module available LED indicators for power supply, data transmission, data reception and validity of the RS-232 signals. In USB mode to RS-232 is available 9 RS-232 signals (DCD, RX, TX, DTR, DSR, RTS, CTS and RI). * There are 2 options 2-way conversion (can not be shared). * Data rates supported up to 500 kbps. * Interface with the computer via the USB connector type B. * Available DB-9 male connector for RS-232 interface. 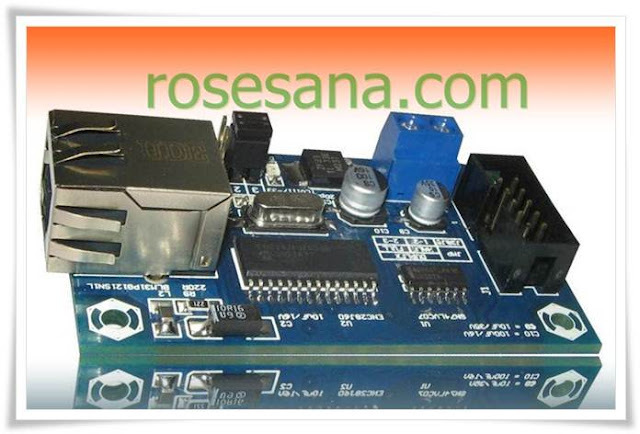 * This module provides signal DCD, RX, TX, DTR, DSR, RTS, CTS and RI for RS-232 interface. 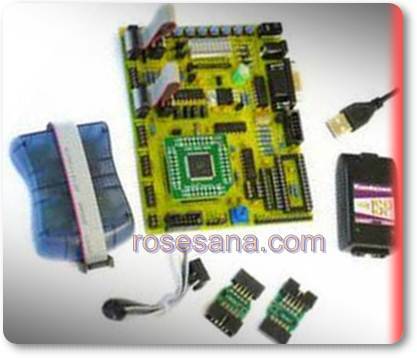 * The module is functioning as a DTE (Data Terminal Equipment) on the mode of USB to RS-232. * Available RJ-45 connectors for RS-485 bus. * Available configuration jumpers for termination resistors on the RS-485 interface. * Admission data on RS-485 communication & auto power-down feature is not active if the USB in suspend state. * When auto power down active RS-232, RS-232 driver is active if there is a valid signal on the DB-9 connector. * Available LED indicators for power supply, receipt & delivery of data and the validity of the RS-232 signals. * Power supply 5 VDC, can be taken from the track USB (bus powered) or DC jack (external power 5 VDC). * Selection of the power supply source via configuration jumpers. * Available for USB drivers. * Equipped with a datasheet, manual, test procedures, schematics and test programs. * 1 unit of DT-board I / O CONVERTER USB TO UART. * 1 set USB cable (p = ± 150 cm). CONVERTER TCP / IP TO UART is a 2-way serial converter module UART to Ethernet-based WIZ105SR. This module can be used for TTL to Ethernet converter, RS-232 to Ethernet or RS-485 to Ethernet. This module is properly used for LAN-based presence system with a computer as a server database and sensor monitoring via LAN. * Based WIZ105SR module (Serial to Ethernet Gateway). Based o-W5100 and GC89L591A0 MQ44I. o Supports TCP, UDP, IP, ARP, ICMP, MAC, PPPoE. o Auto sensing 10/100 Base-T Ethernet. o Auto MDI / MDIX. o Available MAG JACK for cable connections with LAN network. o Data transfer speeds up to 230 kbps. * Configure UART on WIZ105SR can be chosen with the help of Configuration Tool software WIZ105SR. o Baudrate: 1200 bps-230 kbps. o Data: 7 or 8 bits. o Parity: none, even, odd. o Flow Control: none, Xon / Xoff, CTS / RTS. o UART RS-485 connection does not provide a connection flow control CTS / RTS. * There are 3 types of 2-way conversion of TTL UART to Ethernet, UART RS-232 to Ethernet and RS-485 UART to Ethernet. * Equipped with the level converter circuit 3.3 V to 5 V for TTL UART interface. * Available blue 3 pin connector for RS-485 termination (COM, D +, D-) that facilitate the installation of cables for RS-485 interface. * Available reset button to refresh the client-server connection. * Available factory reset button can be used to restore all settings to initial conditions WIZ105SR module (default). * Available indicator pin header for connection to a client-server. * 5 VDC power supply through a blue 2 pin connector. * Compatible with DT-AVR Low Cost series and support the system microcontroller / microprocessor another. * Equipped with the Configuration Tool WIZ105SR, datasheet, manual, test program and schematic. * 1 unit of DT-board I / O TCP / IP CONVERTER TO UART. * 1 set of serial cable (p = ± 120 cm). * 1 set wired LAN with crossover configuration (p = ± 120 cm). * CD / DVD-ROM contains the datasheet, test programs, manuals, test procedures, schematics and software WIZ105SR Configuration Tool. NEO RS-232 TO RS-485 CONVERTER is a serial converter module UART 2 directions which can be used for converter RS-232/RS-485, TTL/RS-232 and TTL/RS-485. This module provides a selection of data direction control on RS-485 interface automatically or manually. This module supports half duplex mode or full duplex RS-485 interface. This module also provides the CTS and RTS pins can be used as flow control on RS-232 interface and TTL. * There are 3 options 2-way conversion. * Supports 1200-115200 bps baudrate. * Can be configured as DCE (Data Communication Equipment) or DTE (Data Terminal Equipment). 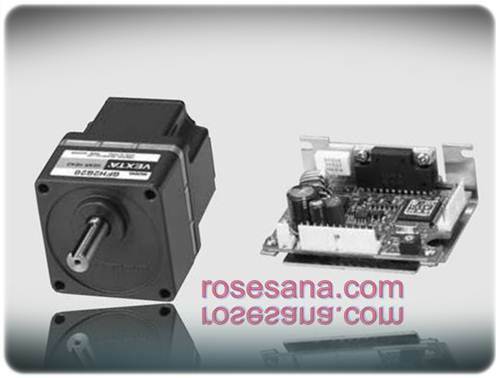 * In RS-232 interface and the TTL is available pin CTS and RTS to control flow control. * In RS-485 interface control options are available at the data is automatically or manually via jumper settings. * Available baudrate range jumper settings for automatic data direction control on RS-485 interface. * Supports half duplex mode or full duplex RS485 interface. * There is a blue 5 pin terminal for RS-485 bus, making it easier cable installation. * Needs power supply: 5 VDC. * Equipped with on-board voltage regulator so it can be connected with 9-12 VDC power supply. * Available power supply input option via the blue terminals, headers, and RJ-45 connectors. * Compatible with DT-AVR Low Cost series controllers and other support systems. * 1 unit of DT-board I / O NEO RS-232 TO RS-485 CONVERTER. EMS Ethernet Module an ethernet communication interface module with a microcontroller / microprocessor via the SPI interface IC based ENC28J60. This module works on 5V TTL voltage levels. 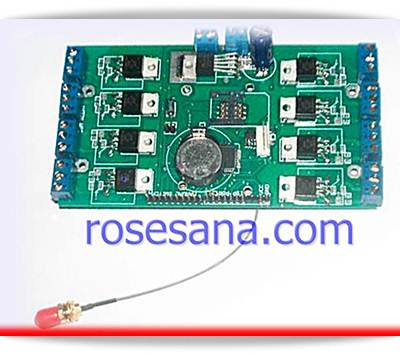 IC ENC28J60 on this module has been integrated with the MAC and 10 Base-T PHY that is equipped with the capability of detection and polarity correction automatically. This module is properly used for embedded web server, an embedded DHCP server and other applications based on Ethernet communication. o Compatible with IEEE 802.3 Ethernet controller. o Integrated with MAC & 10 Base-T PHY. o Available 1 port 10 Base-T is equipped with automatic polarity detection and correction. o Supports full duplex mode and half duplex. o Shipping restarted automatically (programmable). o Calculation of CRC (programmable). o Rejection of the wrong package automatically (programmable). SPI Interface with clock frequency up to 20 MHz and 5V TTL level. * Data transfer speeds up to 10 Mbps Ethernet. * Data buffer of 8 kbytes for data packets sent or received (shared buffer). * Supports data packet unicast, multicast or broadcast. * MAC address can be programmed. * Equipped with MAG JACK equipped with a transformer and connection status indicators (links & active). * Available jumpers for selecting the operating mode (full or half duplex). * Using the SMD components made quite compact dimensions of this module. * There is an interrupt pin to determine the received data. 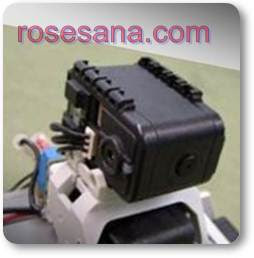 * This module can be accessed through a header which is equipped housing so as to minimize wiring errors. * 5 VDC power supply through a blue 2 pin terminal. 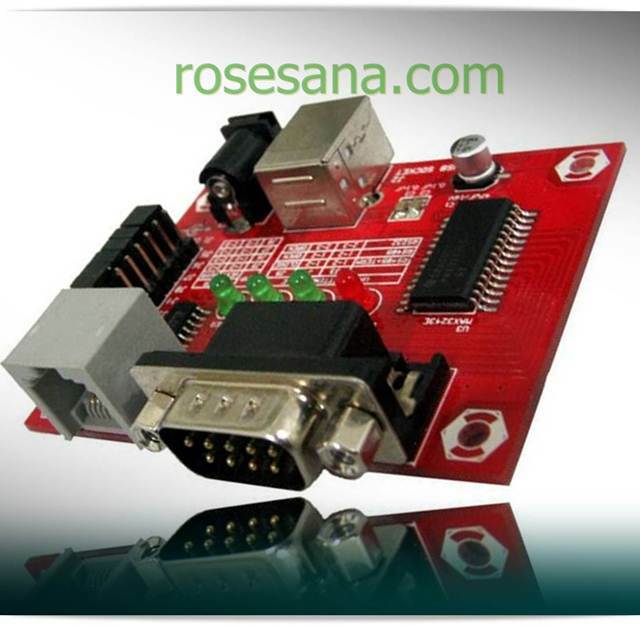 * Compatible with DT-AVR Low Cost series and support the system microprocessor / microcontroller other. * 1 unit of EMS board ETHERNET MODULE. * 1 set of LAN cables with cross-over configuration (p = ± 120 cm).